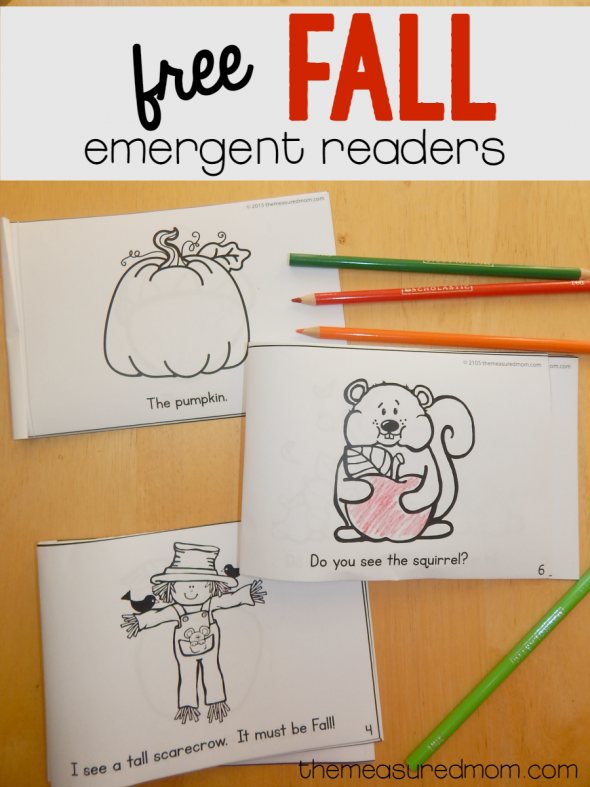 These free Fall emergent readers are great for kids learning basic concepts of prints and simple sight words. We hope you can use them! It’s another set of Color Me Readers! 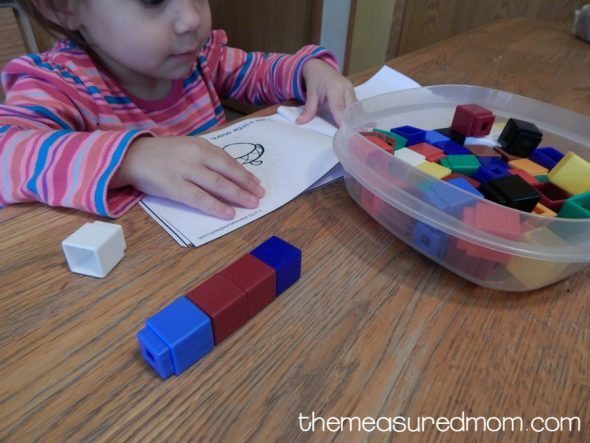 These free emergent readers come in three levels of difficulty. The books you see here are part of my Fall Theme Pack, but I’m sharing this set of three books for free! I love to use these books to teach my Three basic concepts of print. Right now we’re working on concept of word, which he really struggles with. What is “concept of word”? 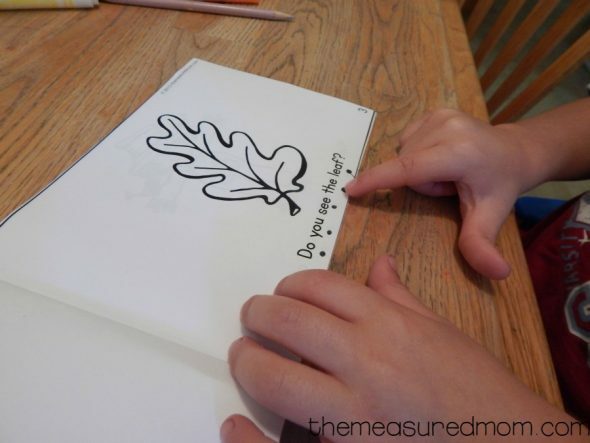 The Level One Color Me Readers are always very simple. 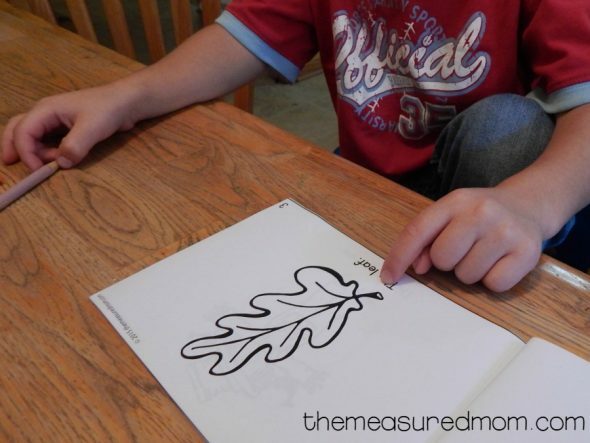 This way my Three can memorize the words very quickly and use the pictures to help him. The first book is a collection of basic fall images. The leaf. The pumpkin. The apple. You get the idea. My older three children would have gotten this in a snap and without any help from me. But even though my Three knows most of his beginning sounds, he’s having trouble transferring that knowledge to words. As his frustration mounted, I simply gave him the word. My goal is to make reading fun and enjoyable, not stressful. I definitely don’t want to turn him off to reading before he even gets started! We’ll try the book another day and see how he does. I read Level Three to him, since I knew that two sentences per page would be too much for him. He was happy to get out his markers and do some coloring! 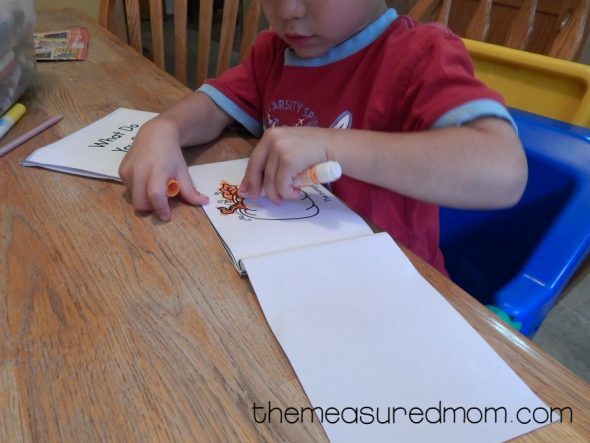 Have you seen our other free Color Me Readers? You can find them all on our free printables page. We hope you enjoy this set! Hi. 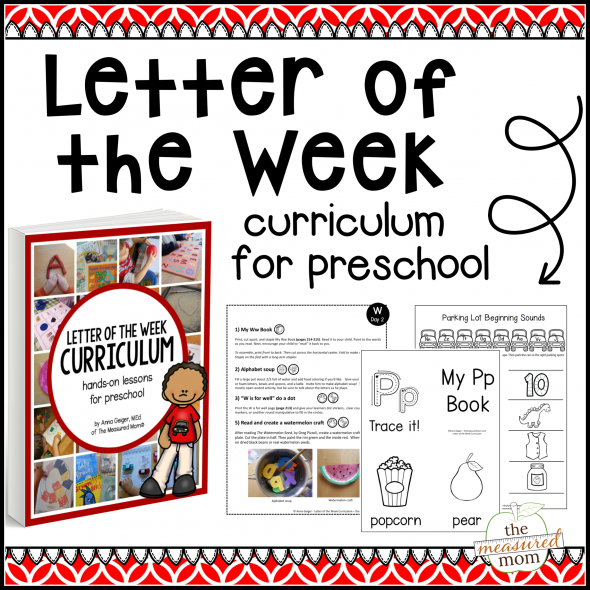 Thanks for all your great printable. I love the little books. I also like the idea of putting dots under each new word. I am going to try this with my grandson. He wants to rush through the words instead of going slow and reading. He is having a hard time getting back into studying after his twin cousins have started kindergarten and he has to study alone now. He is 4 and was ready to go to kinder but to young, now I am trying to find more ways to keep him interested. Thanks again for all the great worksheets and also the great ideas I come away with. 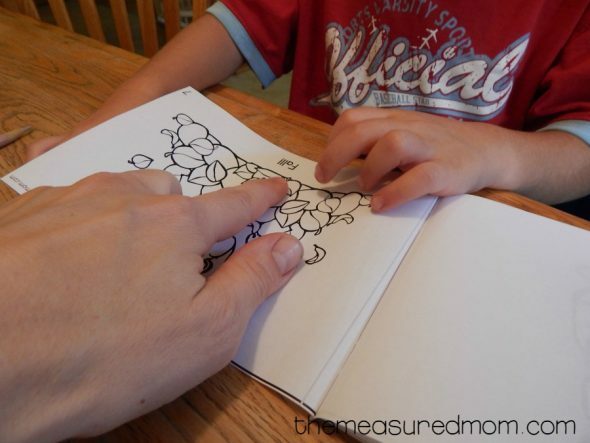 I think you and This Reading Mama have been the greatest help for my grandsons. I worked for seven years at an elementary school with kids k-to 5th grade. I wish I would have known about you sight then. I tell everyone I know to check out your site and Becky’s site. I just love you both. Have a great week! I’m so glad you’re finding things here to help your grandson, Martha! My site is not quite three years old, so it may not have been around when you were teaching. 🙂 I love This Reading Mama’s site too – she is a very dear friend! These are wonderful emergent readers! I make many books on my own for my Kindergarten classroom but it’s wonderful to be able to find such simple books that are already complete. Thank you! I’m so glad you can use them, Amy! This will be a great add Toon to my unit. So excited!! Thank you so much for the kind words, Karla! I hope you find many helpful resources on my site. thanks so much for cheering this resources with us, GOD blesing you life, I am excited for this unit and the child too.